Thus far, I feel like as one individual, I have not made as much progress as I expected and wish. I simply feel like I did not do enough. I can’t help but feel more depressed then usual and not from the paint fumes; I simply wish I could be doing work like this on a day-to-day basis, but college, work, and my commute makes it nearly infeasible to do so. Although I semi-glossed the window panels and sidings of the second floor of the woman’s home that was destroyed and painted two coats of primer paint on several walls I do not feel like that did much to help. It felt like all we were doing was facilitating the job of that the Friends of Rockaways, now known as Saint Bernard Project and construction workers. It felt like the contractors and trades workers were doing more to give back to the community. They were more educated on how to reconstruct a home and what industrial tools and technical resources were needed. I wish Spring Break could be a little longer so we could spend more time here to help. Ultimately, the owner was very appreciative and I could tell she was deeply touched with our desire to volunteer and help out. There was a lot of news reporter and I did give an interview for Fox 5 news. In the most humble way, I do not feel like myself representing Pace should be celebrated in a renowned way as it is given the opportunity to appear on television. Although, I have a strong interest in photojournalism and understand that it is a good marketing technique to improve Pace’s image, I feel like it doesn’t inhibit character. In my elementary school, there was a sign that read, “Character is doing the right thing when no one is looking,” which has always stayed with me. On the flip side, it is important to have others looking so we can educate them on the issues in the world and how we can break the silence. I felt a little bit frustrated with the cameras because there are millions of people who need help and one empathetic and sympathetic freshman student doing her part just doesn’t appear significant. It doesn’t matter about me and how I am doing my part to help. What matters is the community that was destroyed and the members who feel like another statistics because they still are healing. What matters most is understanding how to help regardless if it personally affects them or not. Why can’t more people take action? I decided to take a moment in the spotlight to my advantage in order to spread my message: that it says more to invest your time and energy into people than to donate and give money. Even though money is important because that is how our society functions, at the end of the day, money is meaningless. The true, genuine connections we have with people are all that really matter. Therefore, the people that hear my message could benefit and cause them to educate themselves to help others in a more meaningful, colossal and substantive way. I also feel really honored to be able to hear the story of the homeowners and see that their plight from their superstorm Sandy trauma was not lost. I feel thankful that she was able to share her vulnerability and allow us to be in her home to fix the damages. Thus far, I have learned a lot about the psychological and mental impacts of a superstorm that destroyed entire communities. It is significant to know of that and not just see and learn the physical damage. Hearing a primary account from Mrs. Newman, who’s house got destroyed and Dan, who also survived the storm on the second floor of his home is deeply shocking. No heating, no light, no home, no walls, no food, no electricity, and no security. These are just a few of the issues that they survivors faced. The natural disaster hit hard and so did the PTSD! I cannot imagine the aftermath of trying to recover everything that was taken away from these community members. When people go through traumatic experiences, their demeanor and way of life changes. It helps them relate to other people. I think the reason I take pride and seriousness in helping other people is that I too have been through emotionally draining and psychological trauma. The homeowner was Mrs. Newman has two daughters, who were college students at Brooklyn College. She was a Park Ranger and had to camp in her office with her dog after the hurricane destroyed her home. Sandy hit Halloween night in October and she was not able to try and live in the home until after April the following year. She was the only person to leave and go to Brooklyn from her block. A lot of inhabitants stayed put because they did not believe the warnings and evacuation messages because they did not think there would be an immense decimation to occur. Prior to the hurricane, when hurricane Irene hit, there was a huge evacuation effort and no serious damage. I think it is important to engage in dialogue with the survivors because her story is important and worth sharing. People of the Rockaways believed Sandy would be another Irene. It was not. There is a lot of evidence to support the idea that our society is unsustainable, flawed, and destructive. Although there are many variables like hurricanes that are out of our control, humans do have a correlation with the magnitude of the impending weather issues. Our fossil fuel use contributes to climate change, which means our human population’s behavior on the planet increases temperatures that can lead to hurricanes. Climate change also impacts every single human being on this planet whether they consciously acknowledge it or not. It is also an issue that no one person can solve. We have already done irrecoverable damage and will only continue to do so. Our community fosters ideas that are not environmental friendly. We hurt each other, the land, the animals, and the water. Also, I learned that insurance companies and the federal government are generally prospering when there are huge natural disasters as well. The waste we produce is generally filled into landfills and some objects like plastic do not biodegrade. Humans are ephemeral; cockroaches and plastic bags are immortal. I feel like the work we did here was very trivial. The truth of the majority of humanity is most people do a few kinds things here and there to make us feel better about ourselves. I do believe this program is a great resource for students to experience civic engagement and gain exposure to real-world issues. Who is in the taskforce makes or breaks the experience. I learned one thing from this trip, which is that not everyone will care about the issues that matter most to you. It is the fact that they are here and doing something that makes a difference no matter how unconcerned they may appear. Also, many of the lead workers at the project sites were AmeriCorps members. I am a little bit interested in learning about that and continuing my research with the Peace Corps. I know that ultimately, I would like to provide aid work through various different projects to try and challenge the structure of society and educate others. The long-term impact of my project will be to keep pursuing programs that match my interests or create my own project by doing independent aid work. I have appreciated my ability to film and photograph during the entire duration because images are very powerful ways to spread a message. They are one of the ways I spread my messages. 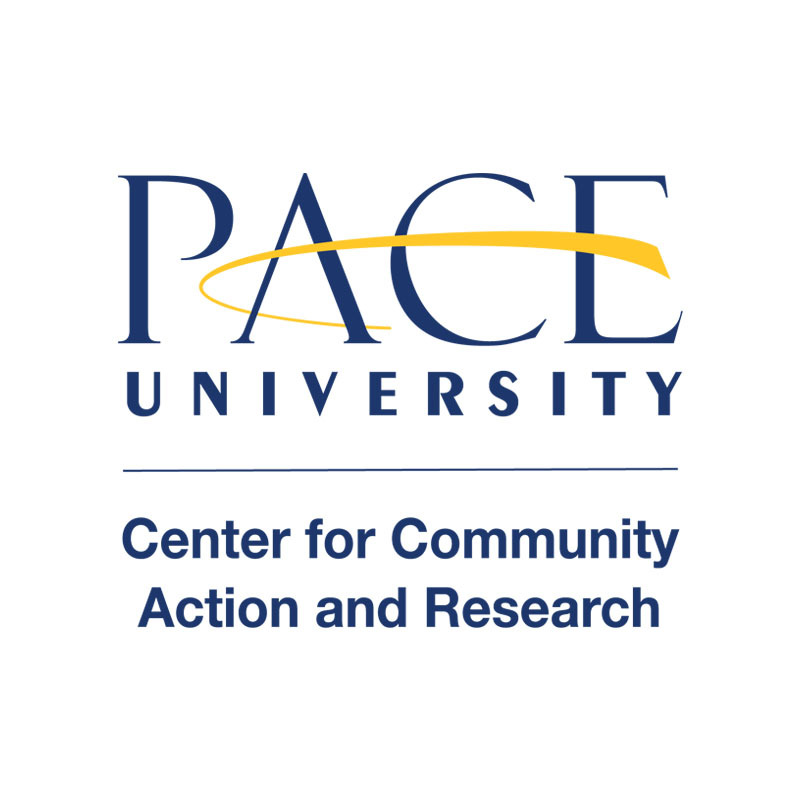 Rest assured, slow progress is still progress, and I think Pace University’s ideal intention in ASB is purely for growth and education, which has been successfully accomplished because I learned a lot from everyone around me. There is still a great deal of work to be done and I am happy to have contributed even in the smallest way possible.